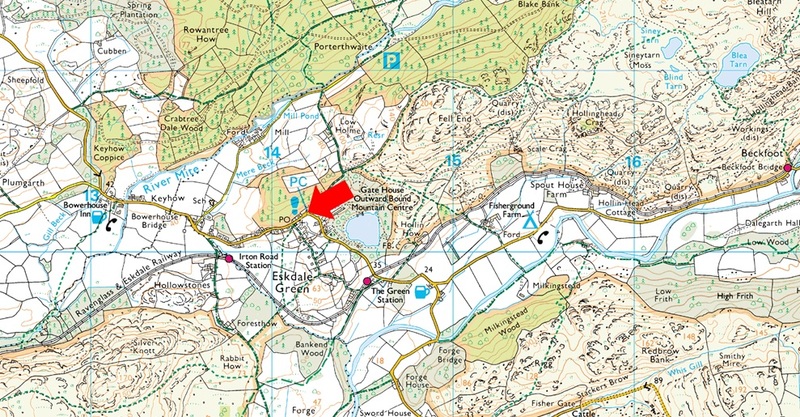 Notes: A fantastic location to leave the car for alternative routes on to the Scafells via the Mitredale Valley or simple excursions on the Ravenglass and Eskdale Railway or even a walk over Muncaster Fell. There is room for around eight cars and a there is also a toilet block too with Eskdale Stores just a short stroll away. Parking is free.